TABLEWARE – fish/sea themed plates and serviettes that are available at most toy/party outlets. I recently found some lovely 3D dolphin placemats that would also be a lovely keepsake/party favour for the kids to take home. 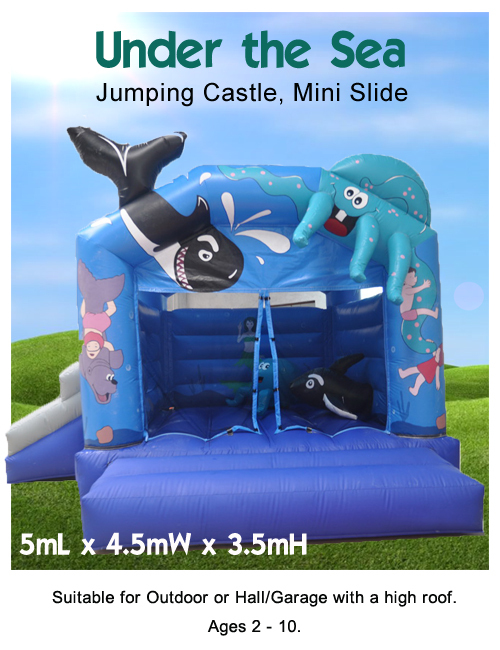 ENTERTAINMENT – So many ideas, but for little kids a jumping castle is always a winner. Try find one that blends in with the theme like one of our suppliers has. 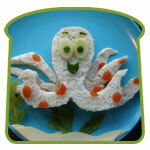 A pinata shaped like a fish/octopus/jelly fish filled with sweets will be great fun for the children to bash. Try think up so water games – like passing a cup of water from one child to the next without spilling and the team that finishes with most water in their bucket wins. Plan a treasure hunt where the children have to hunt for a range of different pictures of sea life (like an octopus, sea horse, stingray, shark, turtle, etc) and the winner will be the child that comes back with a full set of pictures. 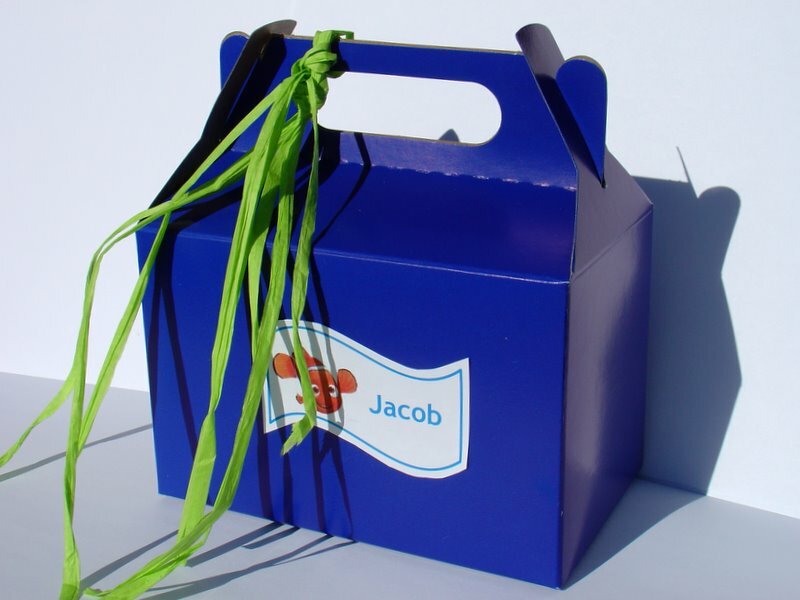 PARTY PACKS – keep to the theme, use a blue box to represent the sea, and green raffia to be the sea weed. PARTY FAVOURS and PRIZES – I recently found some lovely glow in the dark sea creatures that you can stick to the ceiling, cupboard or wall which would make a great party favour. Also, bubbles are always a winner for little kids to blow. Fish or boat bath toys for toddlers would suit this theme.